Purdue senior kicker Spencer Evans earned Big Ten Special Teams Player of the Week honors and classmate wide receiver Terry Wright was named co-Offensive Player of the Week for their starring roles in the Boilermakers’ 38-36 victory over No. 19 Iowa on Saturday. For the season, Evans has made 14 of 19 field goal attempts. He is tied for second in the Big Ten with 72 points. In his two seasons at Purdue, Evans has made 22 field goals to rank tied for eighth on the school career list. He is 20 of 21 on attempts inside 40 yards. Wright, who has 21 receptions for 346 yards and five touchdowns for the season, shared the Big Ten award with Illinois running back Reggie Corbin. The Boilermakers have been recognized by the conference a school-record 10 times this season. The previous high was eight honorees in 2000 and 2001. Purdue (5-4, 4-2 Big Ten) has defeated three ranked opponents this season (also No. 23 Boston College and No. 2 Ohio State), the first time it has done so since 2003 (No. 20 Wake Forest, No. 14 Wisconsin and No. 10 Iowa). 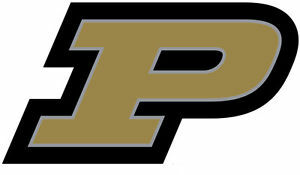 On the heels of the victory over Iowa, Purdue received votes in both the Associated Press (14 – No. 34) and coaches (13 – No. 37) national polls. The Boilermakers visit Minnesota (4-5, 1-5) on Saturday. Kickoff is set for 3:30 p.m. ET, and the game will be televised by EPSN2. Purdue and Wisconsin are tied for second place in the Big Ten West Division, one game behind front-running Northwestern.